In my own state of Michigan, there was a battle in the Republican controlled state legislature to expand Medicaid for the 600,000 uninsured citizens. It did pass with some legislators such as Michigan State Senator Joseph Hune complaining loudly about how its passage made him “sick to his stomach.” Even with the passage, the state legislature delayed its implementation from January 1st to April 1 2014 costing the state $millions in aid. Republican Governor Rick Snyder supported the passage of the Medicaid Expansion after commissioning a study by the State Senate Fiscal Agency investigating his proposal of banking some of the savings to be used after the 100% federal funding ceased. Based upon medical cost inflation rate, case load, HICA Caps, etc. ; the state would not have to dip into its coffers until 2022 considering worst case to potentially 2034 under the best case scenario. Not only is the expansion important for the uninsured, it is important for hospitals which were previously reimbursed for care to the uninsured through other federal programs. These programs would be discontinued under the Medicaid Expansion whether the state went forward with it or not. Many of these hospitals would be faced with bankruptcy or denying care to the uninsured. The same as the delay in Michigan, the delay in Tennessee also costs the state aid at the rate of $2.7 million/day. Gotta love those Repubs. What impact would Congress have on corporations if it were to change the amount of tax-deductible executive performance-based compensation downwards from $1 million to $500,000? The portal to the upper 1% of household taxpayers in income is $500,000 in normal income. If Congress were to limit tax-deductible performance-based income to $500,000, the change would put an end to a large portion of the tax write-offs on executive pay by corporations. 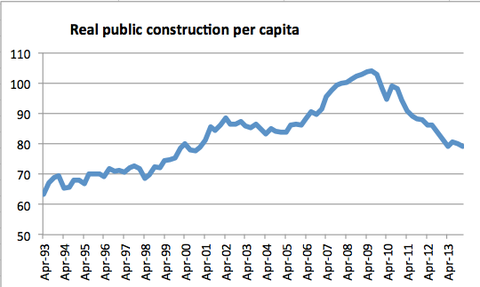 The JCT estimates $50 billion would be realized in a ten-year period. How serious is the skewing of income to a relative few to avoid corporate taxes? An IPS study found 25 of the 100 highest-paid corporate chief executives in the United States took home more in income than what their companies paid in 2010 federal income taxes. As a part of the PPACA passed in 2010 this provision finally came into play in 2013. The provision “generated an ~ $72 million in additional tax revenue in 2013 from America’s 10 largest publicly held health insurance companies” as taken from “57 executives.” It is one of the lesser-known provisions of the PPACA which is increasing revenue to fund the PPACA. Sarah Anderson of the The Institute for Policy Studies just released the report of the impact of this provision for 2013. More of those healthcare companies will full under its impact in 2015 as the grandfathered bonuses pre-2010 expire created an ~$5 billion annually. While it does not limit the amount of compensation to the top healthcare executives, the new performance-pay rule made taxable bonuses, stocks, etc. in excess of $500,000 taxable and down from $1 million previously. What companies could claim as deductible for executives dropped from 96% in 2012 to 27% in 2013 causing 10 corporations to owe an average of $1.3 million in taxes per executive. A similar provision with a broader scope is being considered under Senators Reid and Blumenthal’s Stop Subsidizing $Multimillion Corporate Bonuses Act (S1476). Remember that old jingle Burger King used in it’s advertisements? Well it looks like Burger King is determined to have it “their” way by merging with Canada’s Tim Hortons in a take over of the company. Not that Canadians will be happy with this merger as they were not according to rumor the last time Tim Hortons was taken over by Wendys. There is a question as to whether it is for lower corporate taxes or other reasons corporations are attempting to avoid the US corporate income tax. As DealBook Blog founder Andrew Sorkin questions the takeover and quotes Southern California Gould School of Law Prof. and former JCT chief of staff Edward D. Kleinbard in his paper ‘Competitiveness’ Has Nothing To Do With It. Companies have become adept at avoiding corporate taxes and take advantage of the US tax code, are more competitive than their foreign counterparts, and do not face the same “anti-abuse” rules which non-US companies face in stricter territorial tax systems. Inside of accepted accounting rules, US firms take full advantage in operations in lower tax jurisdictions in a cash tax matter and also through the U.S GAAP measurement of a company’s performance. Is the excess $2 trillion in profits trapped overseas due to high US corporate taxes? Kleinbard thinks not and points to one company in particular which has used it to their advantage. In 2013, Apple was borrowing in the US and using its offshore foreign earnings to pay the incurred interest. The burdensome US tax code allows interest earned on offshore cash to be included in the US company’s income offsetting the tax deduction on interest expense from US borrowing. In effect, no harm is done to company’s economic stance from borrowing. She appears to challenge Steve King to get rid of her and offers he business card. In answer to her challenge, Steve King announces this is not what he does. Of course he doesn’t, he leaves that up to others to get rid of people after he points the finger. Looks like two good citizens to me and a great economic addition to the US. Of course by 2050 when Hispanics are ~50% of the population, there may not be room for the Kings and Rands of the world in the US anymore. Sandwichman has a history of writing on the topic of “Lump of Labor” at Econospeak. “Are Jobs Obsolete” is another in a long series working less due to technological achievement minimizing the need for Labor in Manufacturing and/or Services processes. Speaking as a “throughput analyst” who has done brownfield and Lean” analysis, the need for Labor will lessen even more going into the future. Citing Rushkoff’s 2011 CNN.com article “Are Jobs Obsolete?”, CEO co-Founder Larry Page also brings up the topic of the need of potentially working less. This is nothing new given Sandwichman’s plethora of posts over the years of fewer hours required in the work week. While Rushkoff hesitates in saying the obvious, I am not afraid to sign up to it: “but since when is unemployment really a problem? I understand we all want paychecks — or at least money. We want food, shelter, clothing, and all the things that money buys us. But do we all really want jobs? We’re living in an economy where productivity is no longer the goal, employment is. 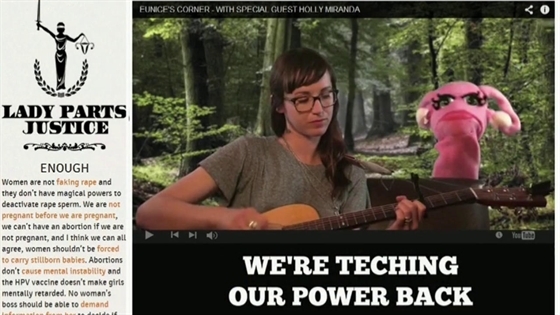 That is because, on a very fundamental level, we have pretty much everything we need. America is productive enough that it could probably shelter, feed, educate, and even provide health care for its entire population with just a fraction of us actually working. So why is food, clothing, housing even a problem given our present ability to manufacture with greater efficiency and throughput the needs of this nation and globally for that matter with a fraction of the Labor which was needed even as late as the sixties (Drucker/Ingersoll Engineers)? We are held to some artificial standard which demands 40+ hours of week of every person, able bodied or not, to the age of 67 before enjoying the ability to retire at a lesser percentage of the wages earned while laboring called Social Security and hopefully a 401k. The increase in wages for Labor has not kept up with the increase in productivity and neither have the hours worked been offset by productivity gains thereby allowing more Labor into the work force. Instead, productivity gains have been heavily skewed to Capital and a few while Labor has been set aside dormant and used as a control factor to any increase in Labor wages. In a WSJ interview, Douglas Rushkoff talks with Dennis Berman: “Does America Really Need More Jobs? Hat Tip to Sandwichman at Econospeak. Worth a listen. In a footnote, Justice Alito concedes that Hobby Lobby’s religious-based assertions are contradicted by science-based federal regulations: “The owners of the companies involved in these cases and others who believe that life begins at conception regard these four methods as causing abortions, but federal regulations, which define pregnancy as beginning at implantation, do not so classify them.” In Hobby Lobby Case, the Supreme Court Chooses Religion Over Science . The four contraceptive methods brought up in the Hobby Lobby case? IUDs, ella, and Plan B. New woman’s “Group Lady Parts Justice” forming as authored by Lizz Winstead — comedian, writer, and co-creator of The Daily Show. “if no deal is made on the federal highway fund, it will soon plunge even further. Having written several times about the cost of the elusive college education, this book seems interesting. They give away the topic and again it is money, even for poorer students. Hold Fast to Dreams: A College Guidance Counselor, His Students, and the Vision of a Life Beyond Poverty by Joshua Steckel and Beth Zasloff New Press, 320 pp. ‘It sometimes feels like low-income students are to our K-12 education system what cadavers are to hospitals. Often teachers secure their first jobs in challenging schools in poorer districts, where the turnover rate is high. Here, they hone their teaching skills, and in a few years they trade up to districts with higher salaries and better working conditions. Poor students are left behind to train the next crop of educators. William Black has an interesting commentary on a seminar being offered by Bank of America in conjunction with Kahn Academy to educate Millennials. Millennials took a big hit in financial fraud, The Great Recession, and are still taking that hit with a lack of jobs. As a result of the economic hard times brought on by The Great Recession, there is no love lost for financial firms and banks which are being ranked amongst the “least favorable brands as measured by Viacom. ”Not only did banks make up four of their top 10 most hated brands; but, Millennials increasingly viewed these financial institutions as irrelevant. – 33% of Millennials say they will not need a bank. 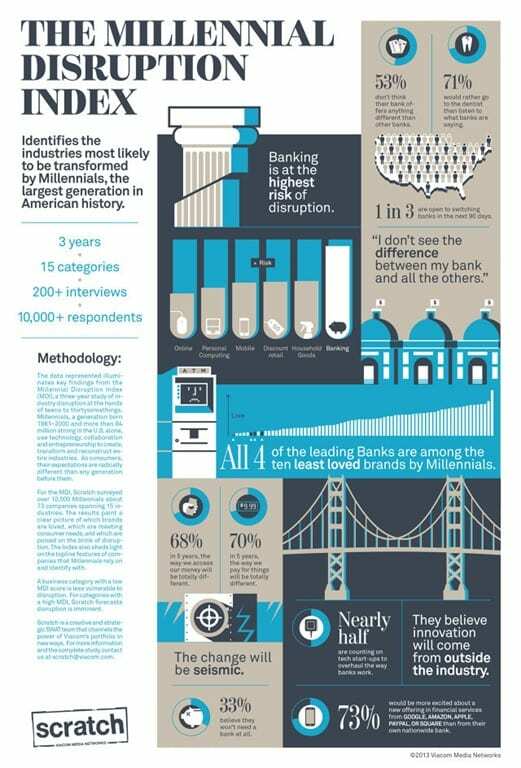 – 53% of Millennials do not believe their bank offers anything different than other banks. – 68% of Millennials say in 5 years, the way we access money will be different. – 70% of Millennials say in 5 years, the way we pay for things will be different. According to William Black, “most of the $30 Trillion is coming directly or indirectly from Baby Boomers. In his never ending quest to privatize Social Security and make Wall Street even wealthier, Pete Peterson is sending groups to campuses trying to convince college students that their parents are the enemy, that austerity and privatization are their only means of staving off poverty,” and also gain access to the Middle and Upper classes. To combat the negative perception by Millennials, Bank of America has teamed up with Kahn Academy to create “a new approach to educating Millennials and money, credit, lending and investing” in a positive manner. Just, maybe our kids and grand kids will avenge us? There are what I perceived as problems with the Brookings Study. Just one example: they base much of their analyses upon “lifetime earnings associated with earning a bachelor’s degree”. The average lifetimes earnings of degree holders is certainly skewed significantly upwards by the top 10% of earners (who account for over 40% of all earnings, and whose earnings have accelerated much faster than the rest of the population since 1989). Remove this group from the data, and average earnings increase is much smaller. There are many similar instances of cherry picking data too numerous to mention here; but in general terms, the study appears to be doing everything to show that borrowers are not having problems. Yet, the study completely and totally ignores what are probably the best indicators of the borrower’s ability to manage their student loans: the default rates, and the deferment/forbearance statistics. The most recent data (which the lenders go to great lengths to decrease through various “default management” techniques during these temporary windows) show a 3- year default rate of almost 15% (the two-year rate is 10%). The lifetime default rate, which was certainly over 20% for people leaving school in 1995, is certainly well over 30% currently, and could easily surpass 50% for people leaving school more recently. Regarding deferment/forbearance over 40% of all loans are either in default, deferment, or forbearance. It is very disappointing to see the Brookings people turn into cheerleaders for this structurally predatory lending system. They are not serving the public interest with studies like this, they are actively working against it. The court granted the emergency injunction from Wheaton College. Hobby Lobby won its case at SCOTUS and is now exempt from having to pay for contraceptive devices or pharma for its female employees. At one commenter pointed out at a different blog, this did not include any pharma for men they may need to father a child or just for fun. This is not the Hobby Lobby hypocrisy I am pointing to although it is fair game in critiquing the company’s viewpoint. While Hobby Lobby does not want to foot the bill for contraception, it has no problem in investing retirement funds in companies which manufacture emergency birth control measures which is something Hobby Lobby exhausted itself in explaining to the court. 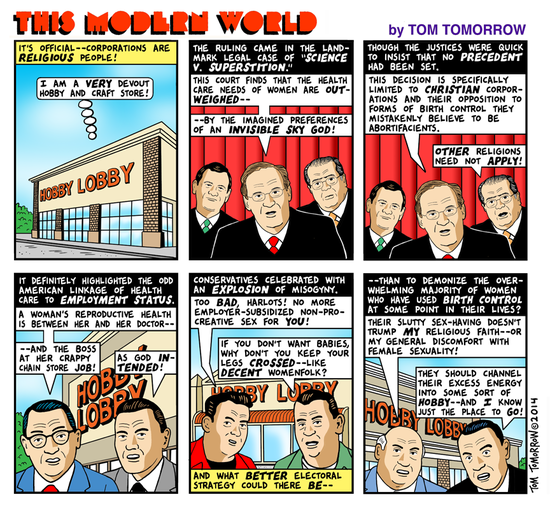 David at Crooks and Liars reports on a recent CNN broadcast concerning Hobby Lobby. Given its erroneous reporting on the VA recently, CNN has not been high on my list of reputable sources for news. “While CNN host Ashleigh Banfield on Wednesday highlighted the “hypocrisy” of Hobby Lobby for investing in companies that made the same birth control products that it refused to provide to female employees,” CNN Business Correspondent Alison Kosik gives Hobby Lobby the benefit of the doubt by suggesting Hobby Lobby may have overlooked where its retirement funds may be going. Yea right and one word, “baloney!” and I could have used two words but AB is kind of a family-type-of-blog :). These are religious fanatics who wear their religion on their sleeve and will not hesitate a second to cram it down your throat to gain an advantage. They convinced the world they were being put-upon by the PPACA, President Obama, and the US government until it comes to making a buck. And of a reconsideration by the court? Doubtful with this crop of activist conservative judges as JackD pointed in the comments . . . and the door is open for other exemptions for those fictional entities called corporations. Each week I get an email from Slate telling me what the latest articles are there, this one caught my attention; Richard Posner on Roberts” For those of you who may not know, Richard Posner writes articles on the economy; but, he is also an 7th District Appeals Court Justice. The 7th District is the same district handling Scott Walker’s election snafu except the justice in that appeal is Frank Easterbrook. “Which brings me to Chief Justice Roberts’ opinion in McCutcheon v. Federal Election Commission, the decision in April that, in the name of free speech, further diminished Congress’ power to limit spending on political campaigns. The opinion states that Congress may target only a specific type of corruption—quid pro quo corruption—that is, an agreement between donor and candidate that in exchange for the donation the candidate will support policies that will provide financial or other benefits to the donor. If there is no agreement, the opinion states, the donation must be allowed because ‘constituents have the right to support candidates who share their views and concerns. Representatives are not to follow constituent orders, but can be expected to be cognizant of and respon­sive to those concerns. Such responsiveness is key to the very concept of self-governance through elected officials. Mind you, I have not see a lower level judge question a higher level judge’s viewpoint and legal opinion. So this is rather unusual for me having been through all of the court levels. This comes outside of the realm of an appeal which would change a lower court’s ruling if a justice found a lower court’s ruling in error or not to their interpretation. Maybe other readers such as JackD and Bev can offer a better opinion than mine.